Inspiration can come from the strangest of places, it was during a family trip to Disney Land in Florida when I truly realised that the value of Disney was the absolute detail and the feeling that nothing could be enough to make it such a memorable trip for the customer. When I launched Frank Olsen Furniture, it was this inspiration that drove my desire to create something more than just furniture. I wanted to create a product that the consumer would be proud to own, show friends and feel like they have been served well by the brand through the attention to detail, design, innovation and value. I could visualise the finished product clearly in my mind and I could see the consumer looking at it with pride and feeling very happy with the value the product has delivered, exceeding expectations. This is what Frank Olsen Furniture had to be about. Being different, driving to achieve things other brands couldn’t, delivering value and connecting with the consumer in the love of the product and a passion for design and innovation. 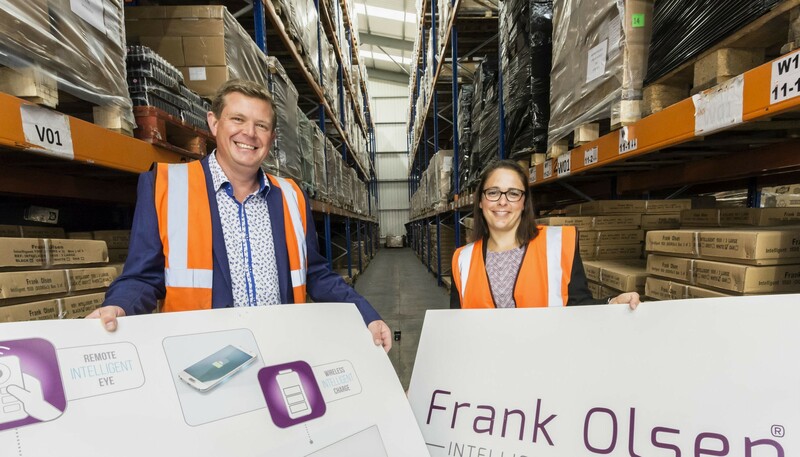 And before you ask… who is Frank Olsen, well, it just sounded right, so with passion, vision, drive and unequivocally support from my wife who often endured my 2am prototype building on the dining room table, Frank Olsen Intelligent Furniture Ltd was born! Since the launch we have developed a number of products and we have a Patent application filed with the focus on night time charging. This Patent is the perfect solution to the Hotel industry as wireless charging becomes main stream following Apple’s recent announcement for the Iphone 8. We are now exploring a number of options to licence the technology and design to manufacturing partners globally in the hotel sector. We’d love to see our products looking stunning in our consumers houses or offices. Please do email a picture to enquiries@frankolsenfurniture.co.uk to be proudly shown on our social media pages and inspire others. And if you wanted to post great pictures and glowing comments on your social media, well, we certainly wouldn’t object.